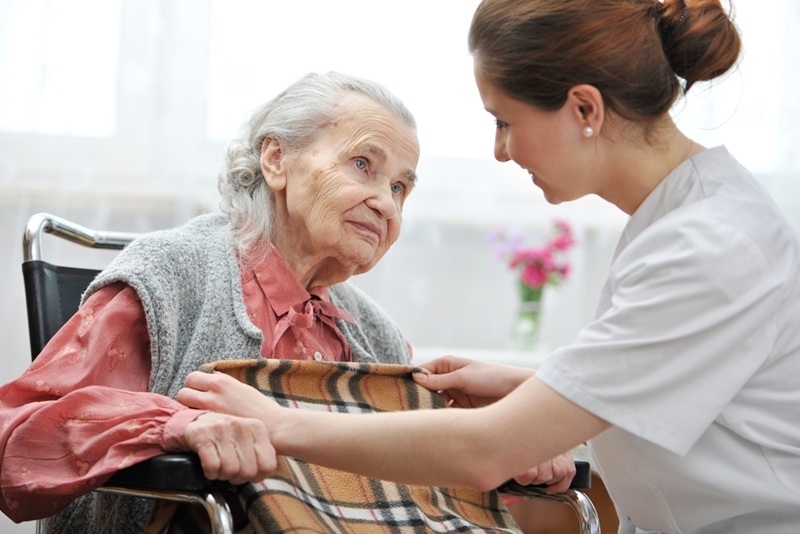 More home health care agencies are providing palliative care services to their patients. In many cases, this arrangement benefits providers, patients and their communities. A: Palliative care is a program of services and support that are intended to control or reduce symptoms. Care is often administered over a long period, and can help individuals manage chronic illnesses. Palliative care is considered holistic and comprehensive, taking into account all aspects of a person's experience living with a certain condition. This means that palliative care is not just focused on treating an individual's illnesses, but on providing patient education, emotional support to patients and caregivers and strategies for living well with a long-term condition. A: While hospice care is typically offered to patients who are predicted to live six months or less, palliative care can be provided to individuals at any stage of their condition, including at the time of their initial diagnosis. Patients do not need to have been diagnosed with terminal conditions to receive palliative care. Palliative care can help patients with chronic conditions have a higher quality of life. Similar to hospice care, palliative care can be jointly managed by a diverse team of healthcare professionals including doctors, nurses, home health clinicians and physical and occupational therapists. Unlike hospice, palliative care can include aggressive treatment. Q: What are the benefits of palliative care? A: Palliative care is beneficial because it can help individuals have a higher quality of life while dealing with serious illness. With its holistic approach, palliative care can help reduce physical pain, support mobility and promote positive emotional well-being while dealing with illness. And since a palliative care plan is often developed by several of the patient's healthcare providers through a coordinated effort, clinicians can customize the nature of palliative care to suit the patient's needs and update the plan according to any changes. Q: Why are home health agencies starting to provide palliative care? A: Many home health agencies are beginning to provide palliative care because it can help keep patients with long-term conditions out of the hospital. Through the Value-Based Purchasing payment program, the Centers for Medicare & Medicaid Services has increased its penalties for hospitals, home health agencies and other providers that have high rehospitalization rates. HHAs have found they can effectively treat patients through an informal palliative care program to lower rehospitalization rates for both their agency and their partner hospitals. Patients who may not qualify for the hospice benefit because their condition has not yet become terminal can still receive support to help them reduce symptoms and have a higher quality of life. "Palliative care can help keep patients with long-term conditions out of the hospital." Q: How does palliative care services fit into Medicare payment models? A: Medicare does not currently cover palliative care, and does not reimburse HHAs for providing this type of care. Instead, HHAs are finding that palliative care patients are covered under fee-for-service. However, HHAs can see financial benefits from providing palliative care in reduced hospital readmission rates and thus lower Medicare penalties. As the popularity of HHAs operating palliative care programs grows, it's possible CMS may re-evaluate their payment models. Effective January 2016, CMS began paying for voluntary Advanced Care Planning under certain payment systems. Q: Which types of technology does an HHA need to start providing palliative care? A: Interoperability, or the capacity to effectively share patients' accurate and updated health information among providers, is of particular importance in palliative care. A comprehensive EMR like the Thornberry NDoc® solution can provide the intuitive and interoperable system HHAs need to successfully implement and maintain palliative care programs. Posted in Industry News on November 30, 2017 by Linda Peth.